The vibrant and effervescent Dr. Amanda qualified as a doctor in 2005, gaining her doctorate from the University of Sheffield. She founded her temple of beauty, W One Knightsbridge in 2016, and has since grown an aesthetic empire, expanding globally with partnering clinics in Marbella, Rome, Milan and Singapore. When she’s not making tweaks on the faces of her high profile clientele, Amanda enjoys cooking for and spending time with her family and friends. She also holds an impressive 2nd Dan Black Belt in Taekwondo. A proud UK Advocate of Professors Without Borders and a member of The Sorority, Amanda is proud to unite and inspire women all over the world. For Sacrebleu!’s December issue, Dr. Wong-Powell gives us an insight into the psyche of the men and women, who come to see her at W One, so stay tuned! Until then, Amanda answers some of our searing questions for the festive season! London of course is where my heart and my home is. But Milan I visit frequently especially with our partner clinic there. It’s a heaven for food and fashion. I know all the good restaurants in Milan and the best place to stay as well. Winter sun or winter snow? Winter snow - the pure white flakes, alpine trees, skiing season and of course wrapped-up with a nice cup of hot chocolate (or gluhwein) in front of an open fire with my family, c'est la vie ! My son, Henry Alexander was born on December 19. Real Christmas tree or artificial? Always real! The smell, the magic, the joy! As a family, we go to get a tree and we decorate it together with our little boys. Hopes and dreams for 2019? I am a finalist for Natwest Everywoman Awards (results on December 5) and so I hope I can inspire more women to step into business and achieve their dreams and goals. On the clinic front, we have some international plans to conquer the world and also a new venture in London (hush hush but lots of magic fairy dust involved). I am also hoping to spend more quality time with my family. As an ambassador for Professors Without Borders (PROWIBO), I am hoping to spend some time teaching with them in the summer of 2019, to empower women! Christmas day outfit of choice? I am organizing and cooking Christmas Lunch this year with my family and a few great friends at home. Before the guests arrived, I shall slip into a red one shoulder Valentino skater Red Dress, put on my Santa little helper’s hat, and knee length black boots (Madonna style from Kelsey). Family time in the evening will be another outfit change in comfy jeans and t-shirt and a cashmere Christmas sweater. Turkey always. I am very traditional. Goose fat on potatoes though is a must! My husband actually makes the best roast potatoes ever! Ah, this is tough. I always thought I was a country girl, a big farm house, with a stable for horses (of course), a big country style kitchen with traditional aga cooker. Saying that, I am like a fish to water here in London. I love my London! My father, who was a very successful businessman once told me: “Be the best of the best always! Strive for perfection and believe in yourself. Most importantly, be happy and do what you love and love what you do”. Sadly my father passed on June 10, 2007 from pancreatic cancer, he was and still is my rock! I was of course, daddy’s little princess. As a beauty therapist to the stars, Malvina is no stranger to the stresses that a busy life can cause to one’s complexion. Having trained at the London Beauty Institute, she is regarded as one of London’s top facialists, with over 30 years of experience under her belt. From supermodel Yasmin Le Bon, to actress Sienna Miller, Malvina’s magical hands and boundless knowledge of skin care and treatments are highly sought after, gaining her national attention in shows such as Ten Years Younger and Kitchen Sink to Catwalk. In 2012, she was honored to accept an ambassadorship for Marks & Spencer Beauty worldwide. Malvina now works with at W One Knightsbridge, specializing in Radiofrequency and Mesotherapy. 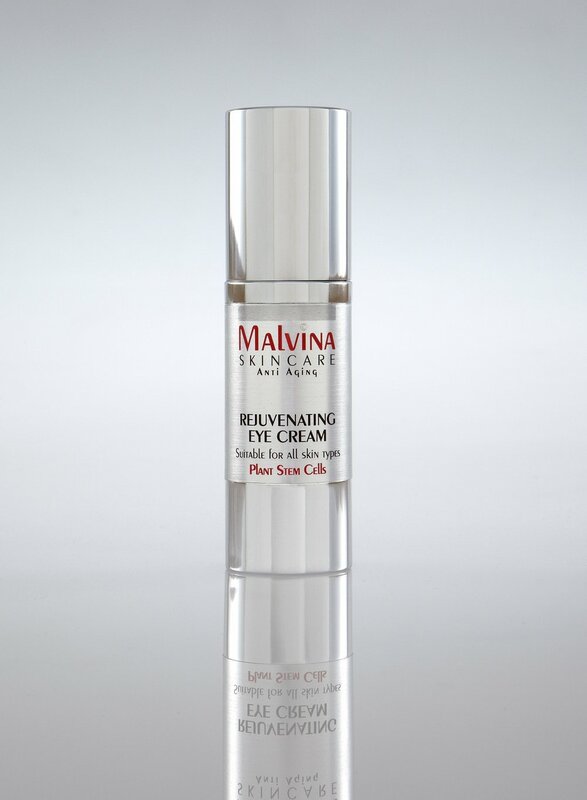 She has also created her own special range of skincare products, Malvina Skincare, to ensure her clients and the beauty connoisseurs can experience the result of her years of training and research in anti-ageing ingredients and plant stem-cell science. Enjoy this teaser as the Sacrebleu! Beauty Team quiz her in all things beauty, and stay tuned for the W One Knightsbridge feature in our December Issue. How often do you sleep with your make-up on? Never! Each night you sleep in your makeup, your pores become more clogged. Eventually, this can result in the formation of microcomedone which attracts the acne-causing bacteria to your skin. Massage. Stiffness in the face often indicates that the lymph flow is not working efficiently, preventing all the toxins from being drained and causing the skin to swell or sag. By applying pressure to the face, you are able to massage away the tension while promoting good blood circulation and lymphatic flow. Top tips for winter skin? Exfoliate your lips as well as the rest of your face. Also, drink more water to combat the central heating! Home Alone or Love Actually? Love Actually of course. Who doesn’t love watching Hugh Grant dancing? Best advice you received in your career thus far? What would you tell your 16 year-old self? Celebrity client with the most amazing skin? For any enquiries or should you like to book in for a consultation with Dr. Amanda Wong-Powell or with Malvina, contact W One via email at hello@woneknightsbridge.com. Visit www.woneknightsbridge.com for more information on treatments and procedures available and visit www.malvinaskincare.com to see Malvina’s full range of skin care. Read the full article in SB! 4, available in print and digital on December 21.